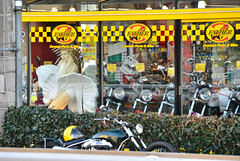 Another motorbike shop along Ring Road No.8. Sorry for the blur. I failed to hold the camera well.